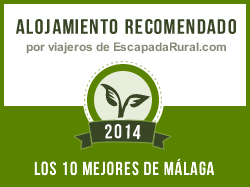 Stay in the cottages of the Hostel Carrion, in the Natural Park of Sierra Tejeda, Alhama and Almijara. Cortijo del Alcazar is a small set of 5 houses situated in the middle of the Natural Park of Sierra Tejeda, Alhama and Almijara. Enjoy our selection of activities in the Natural Park of Sierra Tejeda, Alhama and Almijara, suitable for adventurers. We offer the public traditional recipes that our families have taught us, but giving them some personal touch and something modern. An exceptional environment to enjoy nature. Natural Park of Sierra Tejeda, Alhama and Almijara.